Salaryevo is the southern terminus on the red Sokolnichevskaya line. Moscow’s metro network gained its 200th station on Feb. 15 with the opening of Salaryevo, at the southern end of the red Sokolnicheskaya line. 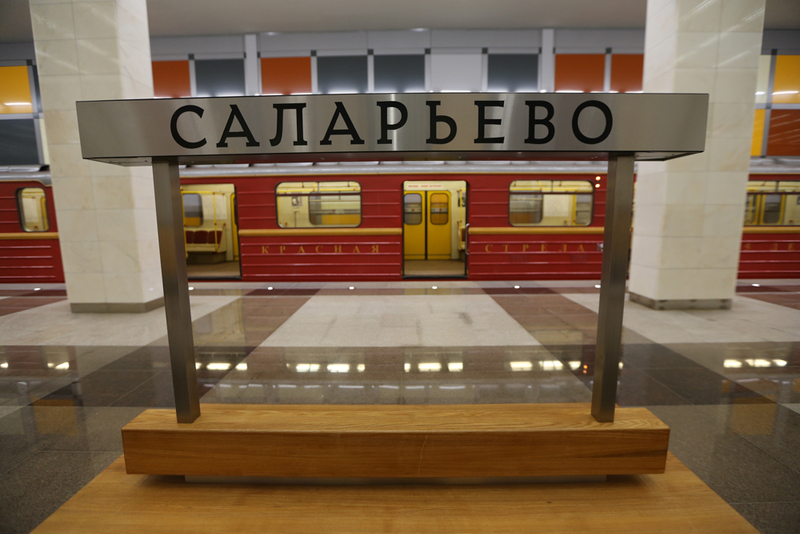 "We are opening the new Salaryevo metro station, which will serve a large area of Moscow: the districts of Solntsevo, Novoye Peredelkino,” said Moscow mayor Sergei Sobyanin during the opening ceremony. The new station is located outside the MKAD (Moscow Ring Road) between the Kievskoye highway and the village of Salaryevo. Its interiors are decorated in the style of constructivism: The walls, ceiling, pillars and floor of the station are divided into "squares" of different colors. The walls along the platforms are adorned with stained-glass windows.